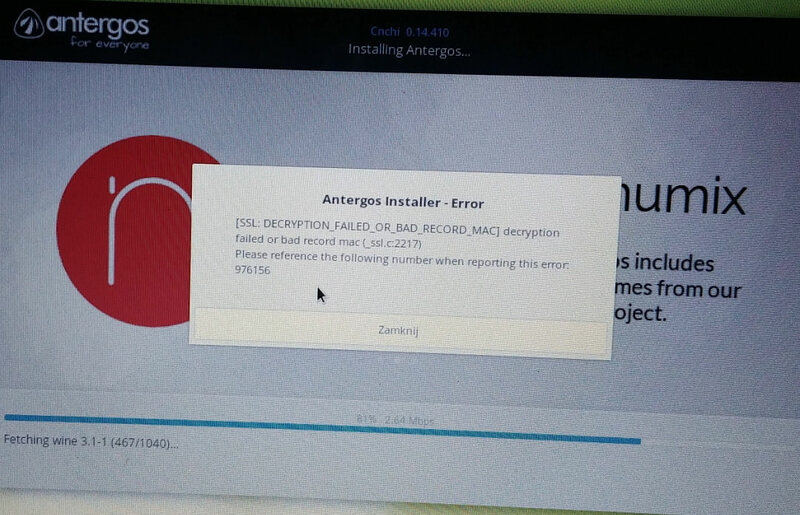 I’m trying to set up Antergos GNOME on my daughter’s Lenovo Z50 laptop. Chnchi stops on the error message like this. Any idea? looks like something related to SSL certification so must be related to somthing the installer is doing… @developers ??? After changing the wi-fi AP it didn’t happen again. Dunno if just by accident or not. Sorry, I was unable to edit my post.